2017 Summer Camp has ended. Registration will begin in January 2018. Now in our 21st season! 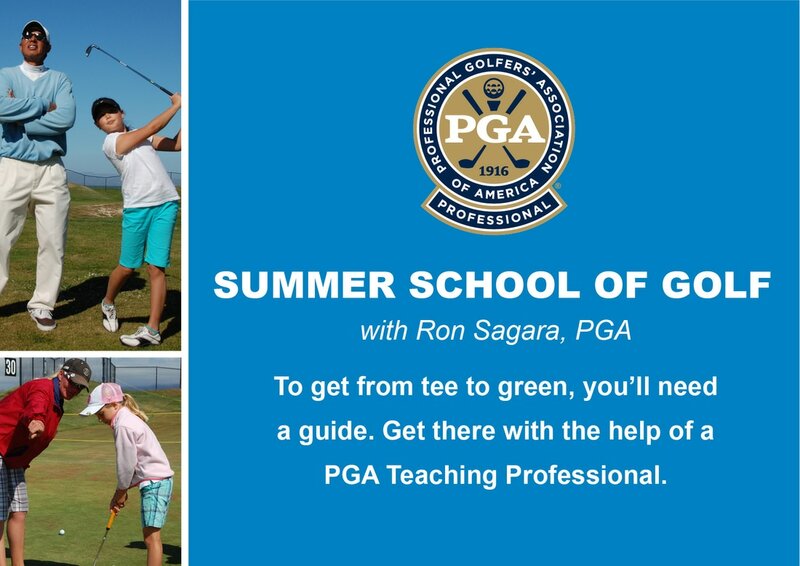 The Summer School of Golf with Ron Sagara continues to be one of the most dynamic, youth-focused programs in the Bay Area. "Our flagship summer camps are inclusive, we are committed to providing all kids with an opportunity to learn and play," said Ron Sagara, PGA, Director of Player Development at Mariners Point. "The curriculum is designed to teach the game of golf in a fun and friendly environment, and also convey to kids the important character traits and values inherent in golf. When summer is over, there are year-round programs to support the lessons learned during camp. Our goal is to encourage juniors to play golf and develop a lifetime love for the game. The Half Day camp is designed for those children who have expressed interest in learning more about the game. Not only are the basics to the sport discussed, the participants will have many opportunities to practice in the short game practice area, and on the driving range, in turn building their confidence, so that they are confident on the golf course. Coaches are committed to providing sound fundamentals in both short game and full swing technique while still placing the emphasis on having fun. * The Afternoon Session is best suited for players who have played nine holes and are comfortable on the course. We focus more on playing strategy, providing participants with a deeper understanding on how to manage their game on the golf course. The Full Day camp provides a broader understanding of how the game is played. Both skill development and playing opportunities on the golf course makes this camp a good choice for juniors seeking a total golf experience. We focus more on the technical aspects of the game, giving the participants a thorough understanding of how to play. Participants will have the opportunity to play up to three rounds (27 holes) of golf each day. Having fun, and developing friendships are important components of this camp. This is an entry level camp for those who have very little golf experience. Children will be introduced to the basics of the grip, aim, set-up and posture (GASP). Playing safely and developing overall coordination is the main focus of the program. However, having fun and making new friends is first-and-foremost. A putter, short iron, and mid-iron will be provided if needed for no additional fee. USKIds golf clubs can be custom fit and purchased by contacting Ron Sagara, PGA. Visit the U.S.Kids Golf Fitting Center at Mariners Point. We stock a wide selection of sizes so players will be fit properly. Please contact Ron Sagara directly at rsagara@marinerspoint.com if you have any questions or requests.